Polyvinylidene Fluoride (PVDF) is the homo-polymer of 1, 1-difluoroethylene. We are offering PVDF Tubes from Kynar®, which are tough engineered thermoplastics with impeccable performance levels. 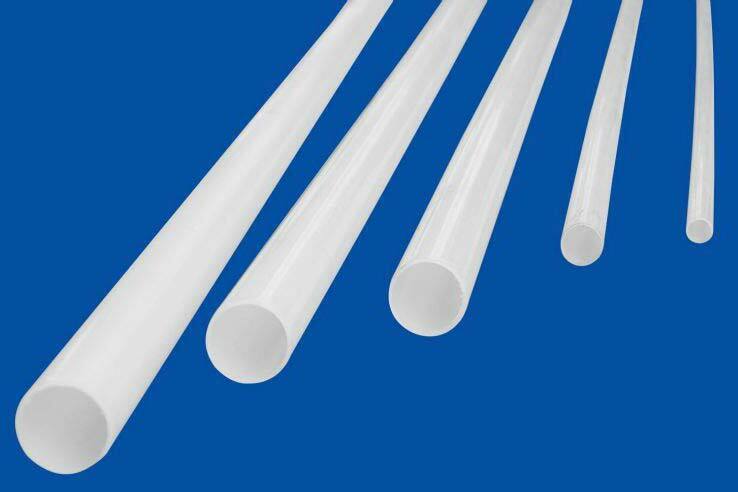 As an Exporter, Importer and Supplier of PVDF Tubes, we offer the range in varied thickness as well as custom extrusion. The PVDF Tubes and a full range of fittings are available in diameters ranging from 20-200 mm as per ISO 10931. Note : Variety of thickness available, custon Extrusion on demand.